The Best Sleep Apnea blogs from thousands of top Sleep Apnea blogs in our index using search and social metrics. Data will be refreshed once a week. Sleep Apnea newsletter is a comprehensive summary of the day's most important blog posts and news articles from the best Sleep Apnea websites on the web, and delivered to your email inbox each morning. To subscribe, simply provide us with your email address. Bronx, NY About Blog Doctor Steven Y. Park, MD is a Integrative sleep surgeon and author with a passion for helping people to breathe better, sleep better and live better. Facebook fans 3,218. Twitter followers 3,086. Dallas, Texas About Blog Sleep Dallas provides life-changing treatment options for patients suffering from sleep issues such as snoring and persistent fatigue, as well as diagnosed sleep disorders like sleep apnea. Sleep Dallas is focused on oral appliance therapies and orthodontics as alternatives to conventional treatments options that many users find to be ineffective. Facebook fans 4,512. Twitter followers 1,053. About Blog Find stories and discussions from people who have experience with or suffer from sleep apnea. Facebook fans 1,177,839. Twitter followers 536,698. About Blog Comprehensive up-to-date news coverage on sleep apnea, aggregated from sources all over the world by Google News. Facebook fans 25,534,266. Twitter followers 214,583. Boston, MA About Blog My Apnea is Improving sleep apnea through information, support, and research. Facebook fans 336. Twitter followers 636. Asheville, NC About Blog Committed to helping patients with sleep apnea live healthy, happy lives. Facebook fans 4,807. Twitter followers 192. Dallas, TX About Blog There’s a reason we’re called Simple Sleep Simple Sleep is a professional, lasting solution to sleep apnea and problem snoring. Omaha, NE About Blog A Blog by Roger Roubal. I have a practice in Omaha focused on the treatment of snoring and sleep apnea using oral appliances. Facebook fans 116. Twitter followers 26. About Blog Your Trusted Authority For Dental Sleep Retainers Since 2001 by Dr. Aldon Hilton. His mission is to share information regarding the dangers of sleep apnea and the treatment alternatives with as many people as possible. About Blog Clinton Dental Center provides information on sleep apnea treatments, cure, with symptoms in children, causes and life style changes for sleep apnea relief. Facebook fans 272. Twitter followers 16. Philadelphia, PA About Blog For the treatment of snoring and sleep apnea. At eos dental sleep, our goal is to help you achieve quiet, restful sleep in order to improve your overall health and the quality of your life. Facebook fans 168. Twitter followers 191. About Blog Dr. Gordon Bell is providing information on Sleep apnea treatments, symptoms, causes, risk factors. About Blog We are dedicated to providing great reviews and comparisons for people in need of a companion Travel CPAP Machine. Our Blog discusses a range of topics related to all things CPAP and Sleep Apnea related and aims at answering those questions you may have when travelling with your Portable CPAP Machine. About Blog A blog about CPAP and aspects of Sleep Apnea therapy. Facebook fans 1,442. Twitter followers n/a. Hull, UK About Blog Hope2Sleep is a Registered Charity run by Sleep Apnoea Sufferers, CPAP & Ventilation Users and Sleep Professionals - all of whom are passionate and committed in volunteering to support people to get the safe comfortable sleep they deserve. Facebook fans 3,779. Twitter followers 2,199. West Deptford, NJ About Blog PAP America is your “one-stop-shop” for sleep apnea relief, education, CPAP equipment, and Home Sleep Testing located in West Deptford, New Jersey. Facebook fans 1,320. Twitter followers 268. Atlanta, GA About Blog Atlanta Snoring Institute is a leading provider of snoring & sleep apnea treatment. Our sleep specialists can offer you relief for a better night's sleep. Facebook fans 140. Twitter followers 278. New York, USA About Blog Troubled by sleep apnea? This can occur due to an obstruction in the airway. Dr. Jamali is giving information on sleep apnea symptoms, Surgery, medical and non medical treatments with Sleep apnea overview. About Blog CPAP Alternative Temecula is providing information on sleep disorder dental treatment and apnea information. About Blog If you have either snoring or obstructive sleep apnea, you will know that these medical problems can cause serious problems. To learn more about the many ways the experts at The Snoring and Sleep Apnea Center at Vent can help you today. You will be back to peaceful sleep filled nights in no time. About Blog The Sleep Apnea Girl Sleep testing center evaluates and treats people for sleep related problems in our state of the art two bed sleep center in Long Beach, CA. Facebook fans 370. Twitter followers n/a. About Blog We are a resource specifically for Dental Sleep Medicine and want to help you find the best dentist possible to assist you on your journey to better health. Obstructive sleep apnea affects around 20 million Americans and can lead to hypertension, heart attack, stroke, depression, muscle pain, fibromyalgia, morning headaches, and excessive daytime sleepiness. About Blog We provide new information and studies in your search for optimal health. mission of Sleep Better Northwest is to raise awareness of Sleep Apnoea, which is one of the most undiagnosed (yet common) conditions there are. If untreated it can lead to serious medical conditions, like heart attacks, strokes and driving accidents. 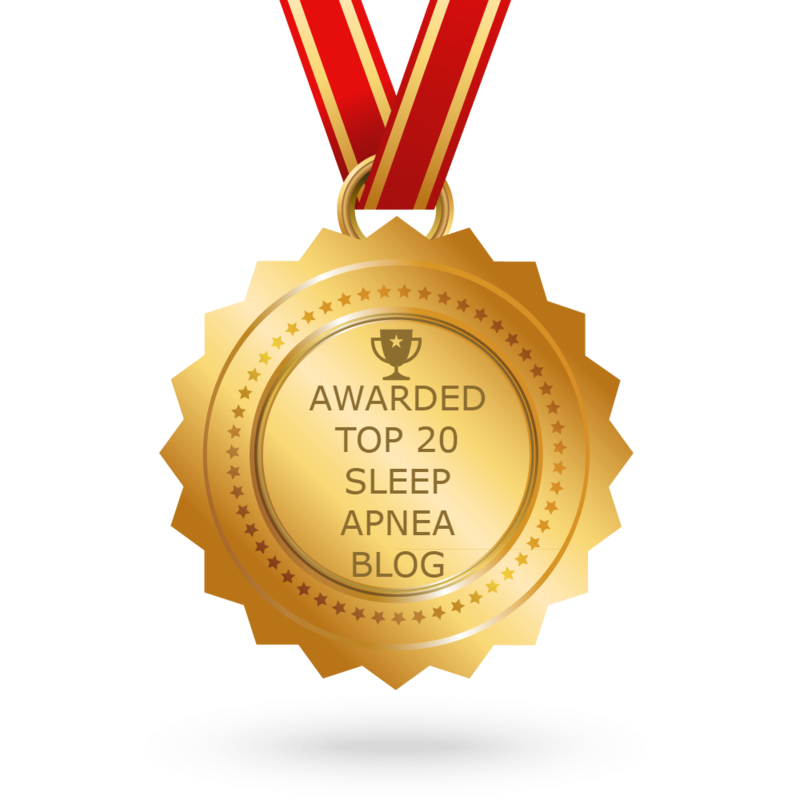 CONGRATULATIONS to every blogger that has made this Top Sleep Apnea blogs list! This is the most comprehensive list of best Sleep Apnea blogs on the internet and I’m honoured to have you as part of this! I personally give you a high-five and want to thank you for your contribution to this world.